While many US-based companies assume GDPR does not apply to them, most are incorrect. Companies need to be cognizant of the fact that GDPR extends beyond the repository of full and part time employee information. 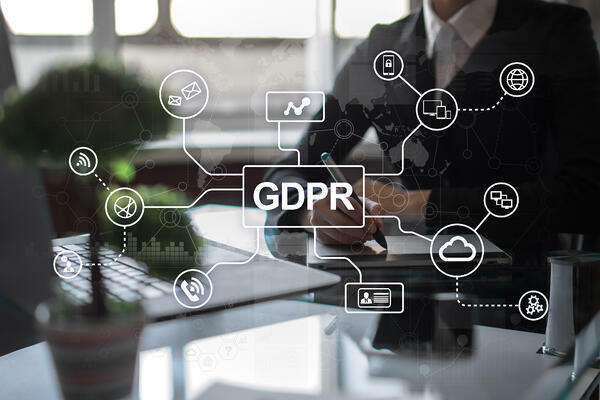 Businesses that collect client or prospect data, even from something as simple as an online form, or maintain affiliations with connections overseas, are required to comply with GDPR regulations. One of the challenges companies face is how to thoroughly secure their data. What’s more, GDPR does not discriminate. Whether you are part of a cross-functional conglomerate or a smaller online retailer, if you are employing multiple systems to forward your mission, as most are, these tools end up being a necessary detriment. It’s becoming increasingly difficult to mitigate breaches or system hackings. From HCM management solutions to marketing and CRM sales tools (to name a few,) the risk of identity and data theft is increased tenfold. The irony is, that the increased number of solutions, recommended and required updates and patches to these solutions, and cloud-based technology that exists to make a company’s life easier, is actually making them more susceptible to security breaches. Despite this truth, eliminating these systems is not the answer, or an option. Your best line of defense is to ensure that these individual systems offer maximum data protection. LaborSoft, the leading partner for HR case management and employee relations technology, employs a dedicated team of IT security technologists who maintain the integrity of our solutions. While our platform is flexible and can be configured to meet a business’ individualized needs, one thing remains consistent – our systems are held to the highest security standards to provide peace of mind to clients. Our cloud-based solutions are tested, retested, and challenged daily in an environment that allows for complete transparency. Our technologists keep pace with online hacking trends, viruses, identity theft, and strategies of the dark web. They apply this knowledge to our own security measures to gauge the efficacy of protective services. Should any sign of compromise, potential threat, weakness, or red flag emerge in our technical environment, we take immediate action to address the issue. This ensures maximum protection of client data and allows you to uphold privacy compliance and GDPR standards.